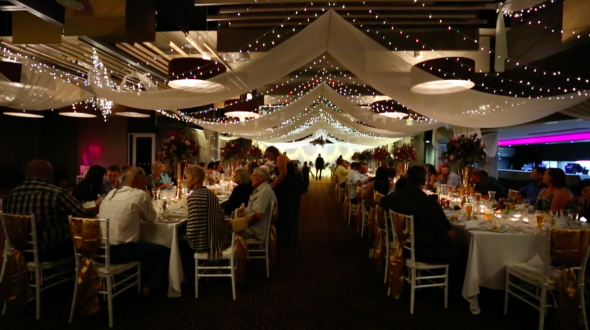 On the 11th June 2016 Wild Bunch Weddings in Mackay had the absolute pleasure of filming Chez and Alex’s wedding day. 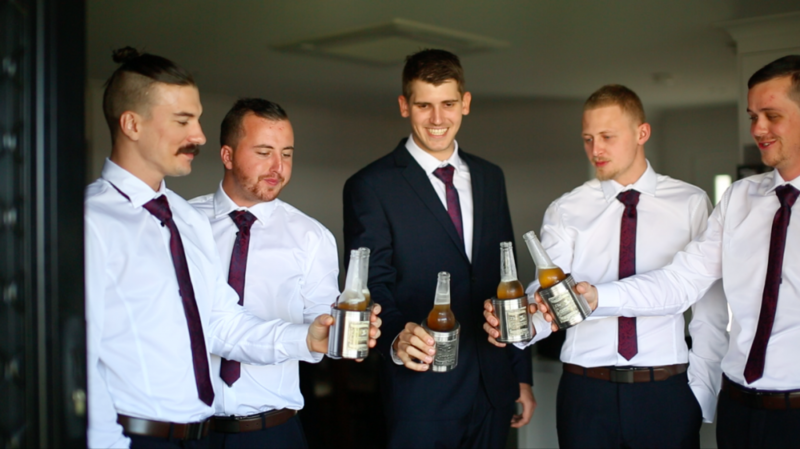 It all began with the boys, lots of fun and laughter was about as the boys busied themselves getting ready for the biggest day of Alex’s life. Today was the day he was to become a husband. With some fun photos with Nadine Kemp Photography and Alex sipping a sneaky beer it was time to head to the girls. The girls were all looking stunning when we arrived. Their hair was done by Blessed Hair Lounge and their Make up by the amazing team at Funk It Up. Chez was looking like a princess. 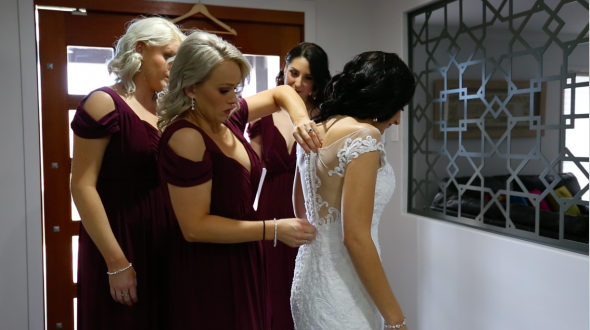 It was time for her to step into her stunning gown from Casar Elegance Bridal and Bridesmaids and complete her transformation. 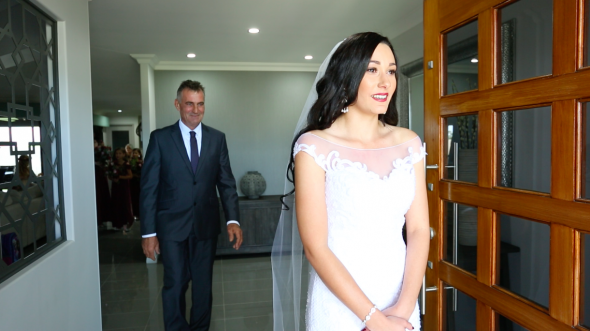 With a few tears from her dad after seeing his little girl in her wedding dress for the first time it was time to make our way back into town where Chez and Alex were soon to become husband and wife. With friends and family arriving at the Saint Francis of Xavier church it was time for the happiest day of their lives to begin, the boys made their way up to the front of the church to await the girls arrival. With Chez and the girls arriving and their lovely priest leading the formalities soon it was time to seal the deal with a kiss. Chez and Alex finally became Mr and Mrs Kerville. With the family photos and congratulations over it was time to jump in their amazing hummer from Get Hummered who came all the way from the gold coast and create some love in front of the camera lenses during their photoshoot. 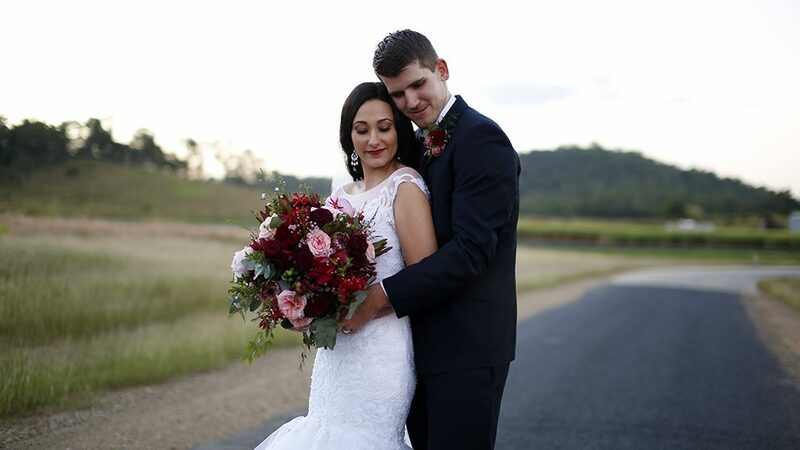 From Pine forests to rolling fields and some dancing from the boys it was time to finish up their photoshoot and head to Magpies Sporting Club Mackay where their reception was being held. 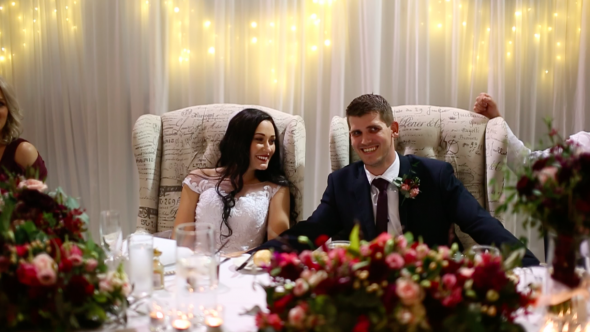 With Family and friends awaiting Mr and Mrs Kerville entered their stunning set up by Starcut Flowers, twinkly fairy lights and chairs fit for a king and queen what a reception! DJ Lambstar kept the dance floor pumping all night long. What an amazing day! 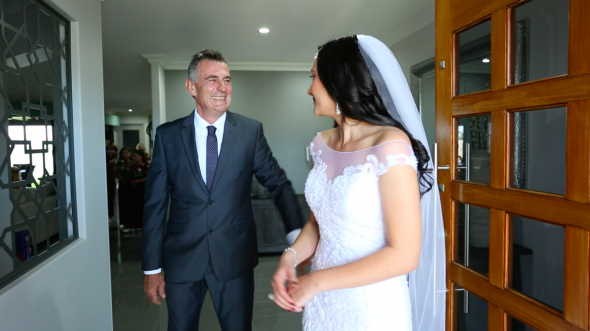 Chez and Alex thank you for choosing Wild Bunch Weddings to film one of the most important moments of your life. It was an absolute honour. EVERYTHING! It is so amazing to be able to watch back and see the day so brilliantly captured. The music chosen for the highlights video and the order were great. It captures all the important moments and we just LOVE it! !